This case introduces the concept of a software review. 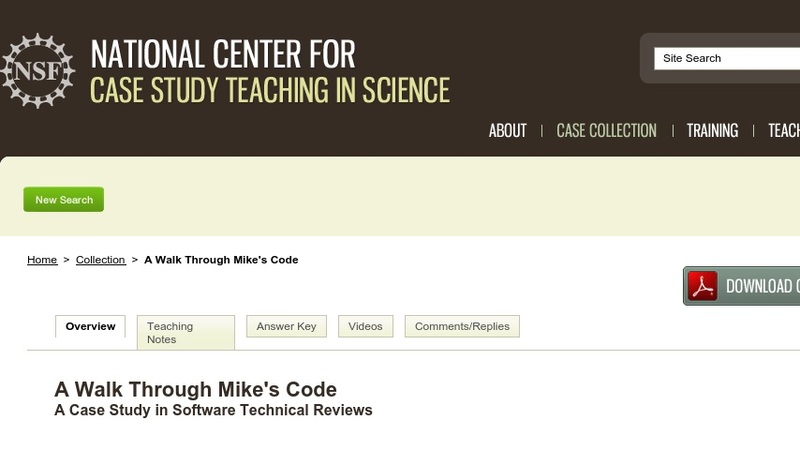 The central character, a programmer named Mike, thinks he—and not his code—is the focus of the review. The lead reviewers, Beverly and Paul, are programmers responsible for developing other parts of the program, and it quickly becomes apparent that there are personal as well as professional issues at play. Developed for an upper-division software engineering course, the case reinforces the idea that software engineering is about teamwork while teaching students about unit-level software verification and validation.